Fresh Christmas garlands are often priced lower than fresh Christmas wreaths, so Julie saved herself some money and turned some of those garlands into her own DIY fresh Christmas wreaths. 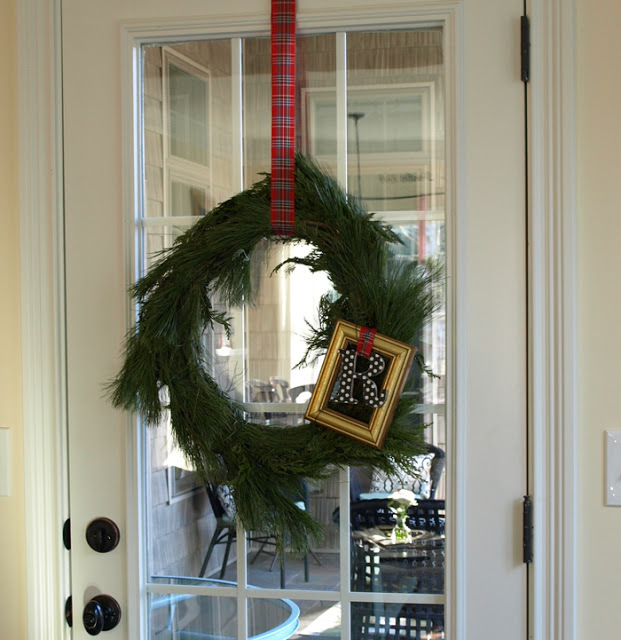 She has two beautiful wreaths hanging on her front door and this fun wreath, with a framed monogram, hanging on her back door. I love framed wreaths, love monogram wreaths, and love fresh wreaths. This wreath combines all three in a fun way. You can check out how to make a wreath from garland over at Less Than Perfect Life of Bliss.